Hampton Creek, the plant-based egg startup known for its product “Just Mayo,” launched in Dollar Tree this week and is expanding its operations to a 90k square-footfacility in the heart of San Francisco in the next few months. On top of that, it just lured away Google’s main data guy, Dan Zigmond. The reason? To turn the food industrial complex on its head. What does a Google Maps specialist have to do with the American waistline? It may not seem obvious how a formal Google data scientist at a mayonnaise company will change the Standard American Diet (SAD), but according to Hampton Creek CEO Josh Tetrick, Zigmond is the guy to do it. “Dan has this unbelievable mind that can sort incredible volumes of data and correlate the real relationships.” What he means by “the real relationships” is an on-hand database that is capable of finding which plants are actually able to impact real change on our planet. We eat too much junk food. We need more plants! According to the latest USDA research, we buy way too much red meat, refined grains, and unhealthy fats. Though some studies suggest meat consumption in the U.S. is decreasing, overall meat consumption is on the rise throughout the world. Part of this is good news. It means once-struggling countries now have the means to buy more expensive foods. While that is an indication that the world economic situation is getting better, it also means more of a hardship on our environment as well as our health. The animal industrial complex doesn’t have a stellar record here, either. Forget the possible animal abuses for a minute and consider that it takes 5-6 pounds of corn, 52 gallons of water and over 1,000 BTUs of fossil fuel just to make a quarter pound beef patty. 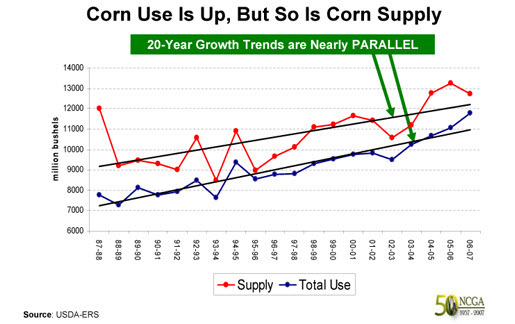 Further, our over-consumption of corn and soy products has dramatically added to the American waistline. That may have to do with how much cheaper it is to buy refined and processed foods than it is to buy healthy, organic fruits and vegetables. Under the Farm Bill, the U.S. government has been subsidizing farmers who grow certain types of crops, such as corn and soy, since the Great Depression. This bill lends much more support to the potato chip and candy bar than it does to an apple. 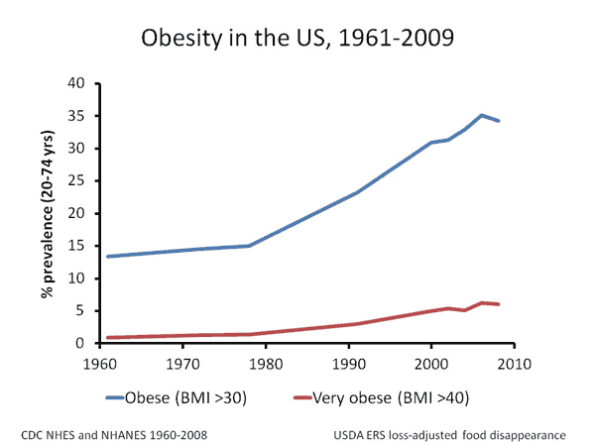 The correlation between obesity and lower income levels is an undeniable fact. The cheapest products in the supermarket tend to be the ones with high caloric content but low nutritional value. These products are mostly made with that Farm Bill subsidized corn and soy. Put that together with the fact that more than a 1/3 of US adults are obese. This means over 100 million people in the US are at a much greater risk for diseases such as diabetes and heart disease. And, as of 2008, our current medical costs have gone up to $147 billion dollars per year! However, creating the world’s largest plant database to try to solve all this is not an easy thing. There are over 8.7 million known species of plants in the world, not to mention the many different varieties of each plant species. More than a billion people go to bed hungry every night, according to Food and Agriculture Organization of the United Nations (FAO) estimates. We give more food to the animals we eat than we do to these people. Using more of the land to grow food for people instead of animals greatly reduces the cost burden on the developing world to buy these food staples. Factory farming creates a monopoly for larger industrial farms, contributes to high levels of waste, pollutes our soil with herbicides such as glycophosphate, drives down worker wages and contributes to a significant cause of the resistance of many common pathogens to the antibiotics used to treat infections in humans. Hampton Creek has this idea that creating a database will allow the company to tap into the vast amount of plant information around the world and use it to inform farmers about a new line of cash crops (not just soy and corn) that could be good for the planet. This in turn will help the farmers feed their families, create healthier food choices that are also cost-effective and push small farm communities forward. Hampton Creek is mostly known for the mayonnaise, but it also now sells an eggless cookie dough. It will soon release a literal scrambled pea product that looks, tastes and feels just like eggs. Tetrick says having the world’s largest plant database enables his company to come up with more than just eggless products. He mentioned a plant that’s not out on the market yet but that can reduce the amount of sugar in sweets and make them still taste great. Onboarding Zigmond to build the world’s largest plant database means Hampton Creek can then begin to sort out which plants have the type of traits that can be used to create food products that are healthier, cheaper and have a lower impact on animals and the environment. Tetrick can go in-depth about how certain types of Canadian yellow peas possess the right molecular weight. This somehow means the peas possess the right consistency Hampton Creek can then use in its products. But finding more of those kinds of plant traits is like looking for a needle in a haystack at the moment. There are over 2,000 varietals of Canadian yellow peas alone. That type of knowledge, according to Tetrick, would guarantee a cheaper, safer, healthier product. That’s the type of information some very big food manufacturers might be willing to spend a lot of money for. Though Tetrick didn’t want to say which ones exactly, he says Hampton Creek is already in talks with several household name food manufacturers to license their database research. “If someone offered us a billion dollars for Hampton Creek right now, no one in the company would blink if we said no,” says Tetrick. The company already has $30 million in funding from the Bill Gates Foundation, Founders Fund, Google Ventures and others. It’s also a for-profit company currently in the black. The “Just Mayo” product is in Whole Foods, Safeway, Costco and now Dollar Tree nationwide. That last one, Dollar Tree, means the most for Tetrick personally. It’s somewhere that both middle America and his own dad would go to shop. It’s partly why he’s willing to sell information to some of the major food manufacturers, as well. Tetrick wants to see his database researched plants in every day food items. He wants them to be so ubiquitous that it truly changes the way we eat for the better without us having to choose between cost and our health at the checkout stand. “Really I just want to create something so big that it changes the world.” He and Zigmond have their work cut out for them.